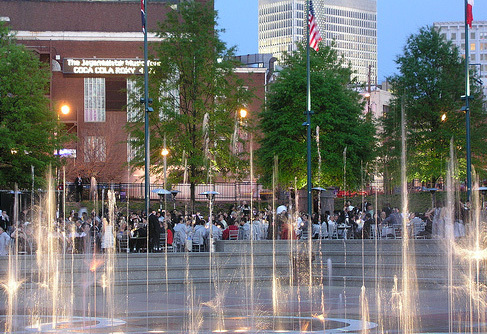 Between the years of 1997-2000, the Foundation donated $150,000 towards the development of a set of quilt gardens in Centennial Olympic Park in Atlanta, Georgia. The park was the central gathering location for visitors and spectators during the 1996 Centennial Olympic Games and as a lasting legacy for the city of Atlanta. Today, it is one of the most popular outdoor attractions in the area with activities and events ranging from dancing water fountains and kids events to free outdoor concerts.